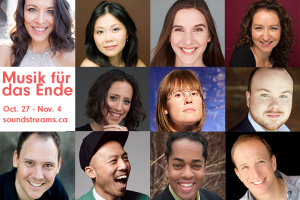 Soundstreams is delighted to announce the cast for the world premiere of the first fully staged production of Musik für das Ende written by legendary Québécois composer Claude Vivier. Ten of Canada’s most talented singers and one actor are improvising, exchanging and collaborating under the guidance of director Chris Abraham and music director John Hess to turn Claude Vivier’s challenging musical roadmap into an intimate and unforgettable ritual. Abraham noted the creative team was looking for more than just great singers, during the casting process, they were looking for artists who were ready for the unique challenges the work provides. Below are the ten singers and actor that have risen up to the challenge! The cast is from a variety of musical traditions including jazz, pop, world, and classical along and is bringing to the show their unique personal experiences and backgrounds. 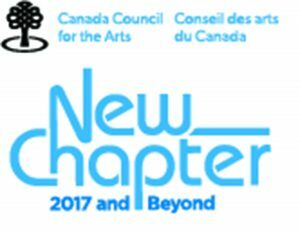 Musik für das Ende is one of the 200 exceptional projects funded through the Canada Council for the Arts’ New Chapter initiative. With this $35M initiative, the Council supports the creation and sharing of the arts in communities across Canada. Leah Alfred has been acclaimed for her “superb vocal quality” and “wonderful intimacy and vulnerability”. She hails from Vancouver, British Columbia, where she began her formal training in music and fell in love with opera. She has performed in China, Czech Republic, and Italy, as well as in numerous recital tours on Vancouver Island. 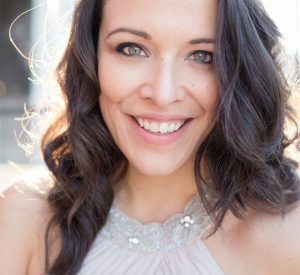 Leah has performed as a soloist with UBC Opera, Vancouver Symphony, Burnaby Lyric Opera, and Vancouver Opera. Her repertoire ranges from baroque to brand new music, including operas by Hasse, Mozart, Humperdinck, Somers, and Current. She studies with renowned Canadian baritone Daniel Okulitch, and looks forward to whatever future adventures music has in store for her. Gila’kasla! 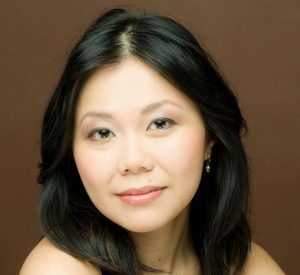 Lyric Coloratura Soprano Vania Lizbeth Chan made her Carnegie Hall debut in Weill Recital Hall, winning first prize in the Barry Alexander International Competition, New York. She premiered the role of the Light Moon in the Dora Award winning opera The Lesson of Da Ji (Toronto Masque Theatre). Vania sang in the recording of this opera, released by Centre Discs, which received a Critics Choice Review in Opera News, New York. She is featured in the comedic D’Italiano Bread “romantic dinner” commercial as the garlic breath woman. 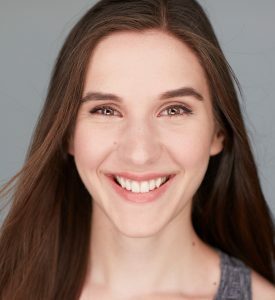 Other roles include Mabel in The Pirates of Penzance, Princess Mi in The Land of Smiles (Toronto Operetta Theatre), Madame Herz in The Impresario, the goddess Diane in Hippolyte et Aricie (VOICEBOX: Opera in Concert), the Ad Exec in Airline Icarus (Soundstreams). Vania received her Masters of Music in Classical Voice from the Manhattan School of Music, New York. Upcoming: Cunégonde in CANDIDE (Toronto Operetta Theatre).